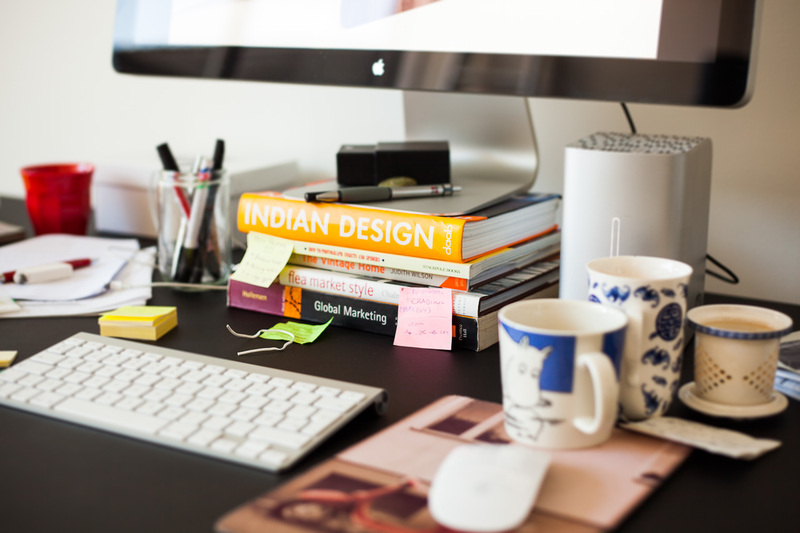 An iMac Stand instead of books? Do you want to get a cleaner office? Why not getting a proper iMac stand and get the book back on the shelf. 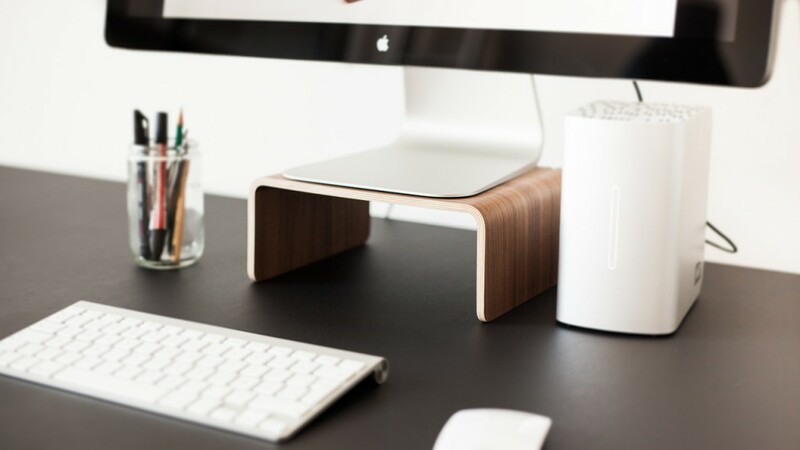 With the Nordic Appeal’s iMac stand it’s easy. You simply put it under you iMac and use the cable-drops on the back to catch those cables before they slide down the floor. The stand is very stable despite the simple and light design and you can store a few accessories under the stand or keep it clear for better zen feeling. The stand is manufactured from layers of wood compressed for a few minutes under 35 tons of weight, which make the stand nearly as strong as steel. The basic idea with the stand is that it will raise the iMac and display to improve the ergonomics. The iMac stand will raise the iMac or Apple display to get it up to proper eye level. For many people this will improve the posture and give better work comfort. The design replace the books or papers you otherwise stack under your display to raise it to proper height. We like to work on a clean table when we have customers and clients in the office. We also like to upscale the office with some great danish design in sustainable wood. Compared to plastic and aluminium a stand in wood is a very eco-friendly alternative. The stand is made from sustainable forested wood and comply to the EU-ecolabel and use no harmful chemicals in the making. We have decided to use the moulded wood process because it’s very strong and comply with the traditional danish design traditions. We also make the iMac stand on a small danish factory to follow the traditional danish craftsmanship.